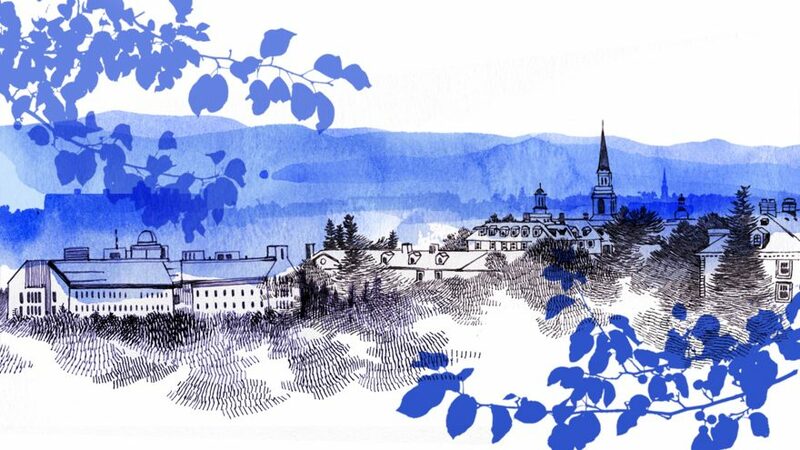 In this issue, we read a unique story about a chapter in Middlebury’s history—the admission of women and the subsequent life of women students at the College. In 1880, President Cyrus Hamlin arrived at Middlebury to build enrollments, which had dwindled to dangerously low levels. He turned to women, who were eager to join Middlebury to advance their educations. There was ambiguity in the conversation of Middlebury leaders as to what exactly was being granted—full enrollment? Only certain rights and privileges? Then May Belle Chellis graduated at the top of her class. The matter seemed settled. The work of inclusivity doesn’t always move in a straight line, however, and the entry of women into the College did not mean that all was well. In the early 1900s, Middlebury was almost denied Carnegie funding for being “in danger” of becoming a college for women. One president cited the presence of women as the reason for the smaller growth in the endowment compared to some New England all-male schools. Should the College then build a separate campus for women? Leaders pondered that question through the 1910s, ’20s, and ’30s. The debate ended with a whimper; because of the Second World War, a separate college campus could not be funded, and the issue was not raised again. Middlebury became fully coeducational almost without thinking about it. This Middlebury chapter should be more well known, because it teaches us something about the nature of institutional change. In my own area of research in India, I see similar themes. I have conducted over 90 life histories of women who have taken up the teaching of Sanskrit—a sacred language in India that had been prohibited to women in ritual situations for several millennia. Yet because such a large number of men have entered the global workforce in science, technology, and engineering in recent decades, the study of Sanskrit has become open to women, particularly in urban universities. This is a sea change in the Indian educational landscape. This change has occurred for two reasons that, combined, make a powerful force indeed: a perceived need and an openness to change. Then let’s consider openness to change. Two of the states where women began to teach Sanskrit openly in the early years after Indian independence were Bengal and Maharashtra, states that had the longest and richest histories of women’s reform movements. That’s also instructive for us today. Sometimes that openness takes decades to build. But as educators, the more we can call on our local and national histories of reform and examples of inclusiveness, flawed as they might have been, the more we can gain the energy and insight into an inclusive educational practice today. We also need to remember and document the patterns of exclusion; that will keep us honest and aware of the pitfalls of how we are thinking today. The history of women’s inclusion at Middlebury is one of painful as well as exciting moments. But in the end, women’s contributions were simply good for Middlebury. And for a variety of reasons, Middlebury was open to change. We just got on with the business of becoming more inclusive because it was the right thing for Middlebury and the right thing to do. That’s a lesson I’m reminded of every day.